Having a family is an adventure in itself, so why not include a little adventure in your family holidays too? Choose a tour operator that specialises in combining kid-friendly hotels and amazing experiences that are tailored to suit the whole family, and you’ll be rewarded with holidays that venture into magical destinations and are memorable for all the right reasons. With great food, lush scenery and lots of warm, friendly locals, the whole family will fall in love with Vietnam. Take a thrilling cyclo tour through the bustling city of Hanoi, sleep under the stars on an overnight boat trip on beautiful Halong Bay, and soak up hundreds of years of history in the former Imperial capital city of Hue. Indulge your inner Attenborough by introducing your family to the unforgettable wildlife and peoples of Africa. Whether it’s an early morning balloon ride over the plains of the Serengeti, cycling along the shores of Africa’s largest lake, Lake Victoria, or taking a game drive across the vast Ngorogoro Crater, your family will return home with Africa embedded in their hearts. Choose a tour operator that provides a local crew of leader, driver and cook and you’ll be able to relax and enjoy the journey, knowing that you’re in excellent hands. Experience the beauty of Croatia’s Dalmatian coastline by taking an island-hopping family adventure. Explore the breath-taking islands of Hvar and Korcula, where you can balance your indulgence in delicious island cuisine with refreshing dips in the warm, blue waters of the Adriatic, soak up the history of stunning Dubrovnik and reflect on all you’ve seen and enjoyed as a family over gelato on the waterfront promenade of Split. History nuts of all ages will soak up the ancient mysteries and modern marvels of Egypt, from the Pyramids and the Sphinx to the Valley of the Kings. 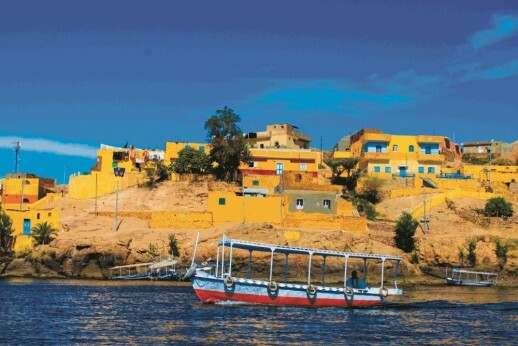 From an overnight felucca cruise along the Nile to exploring the treasure-filled halls of Cairo’s Egyptian museum; from sitting down to dinner with a local Nubian family to experiencing the novelty of an overnight sleeper train, an Egyptian family holiday is guaranteed to fill your photo album with incredible memories. By choosing a tour operator that truly understands the unique challenges of travelling as a family, you’ll be able to enjoy an action-packed and family-friendly itinerary that delivers both must-see highlights and off-the-beaten track activities, staying in kid-friendly hotels and travelling with other, like-minded families. Ask your personal travel manager for details.